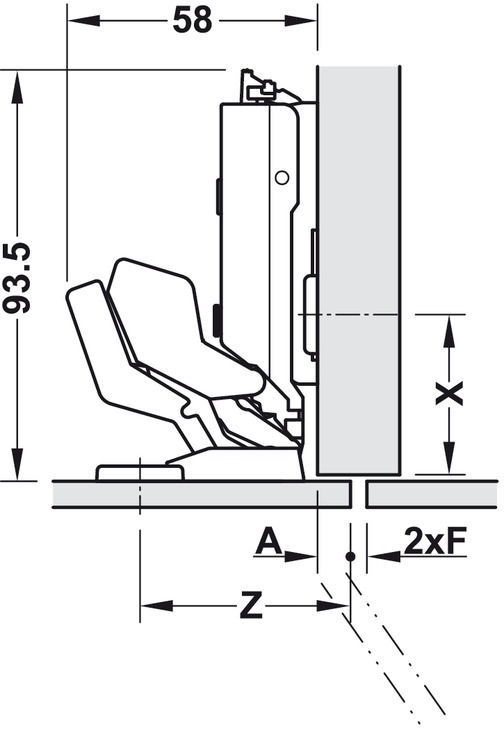 Minimum gap F = 2 mm. 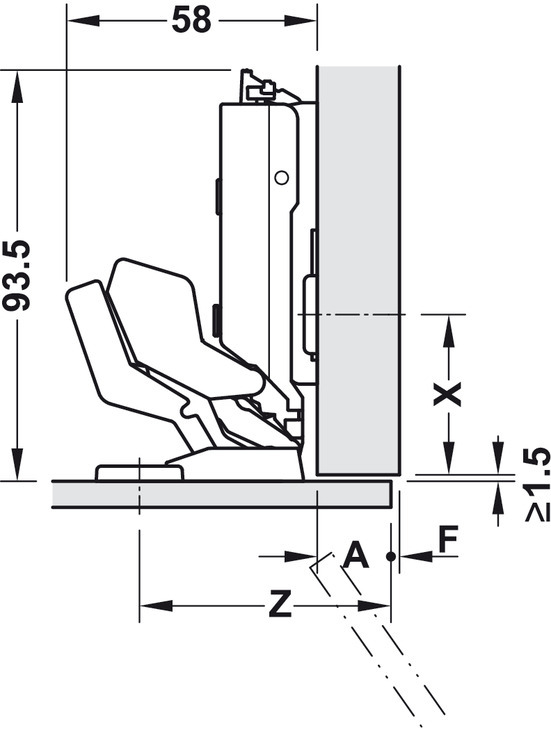 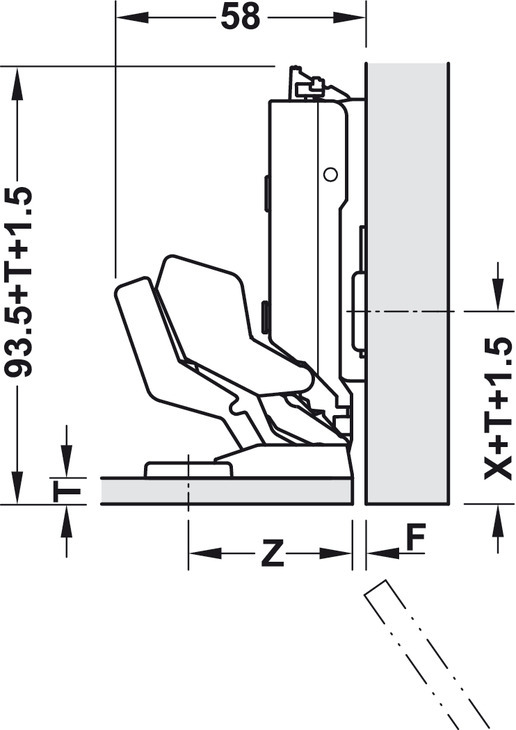 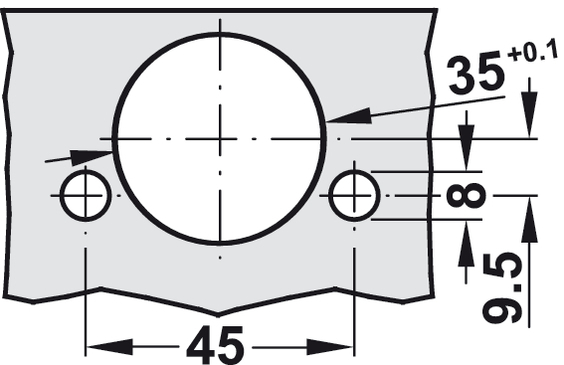 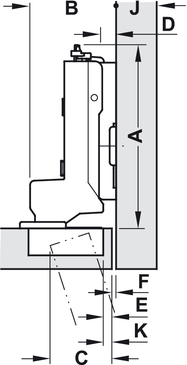 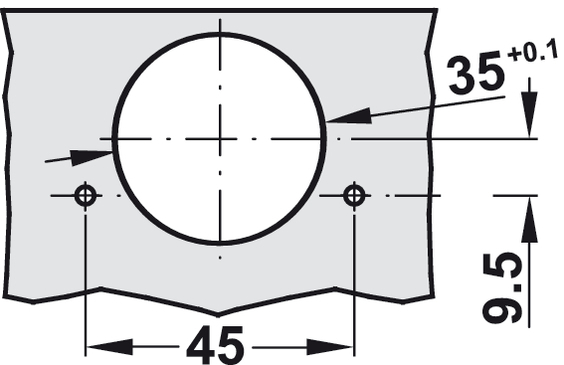 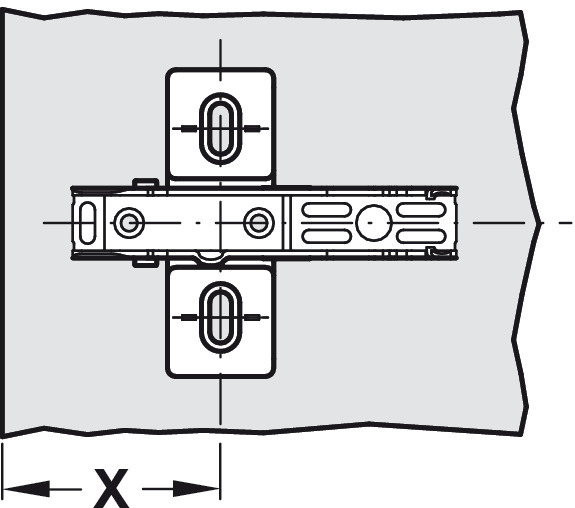 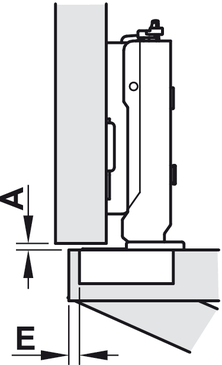 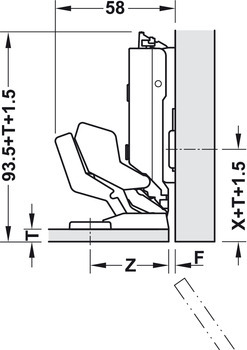 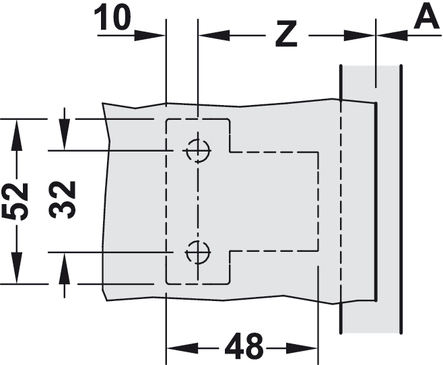 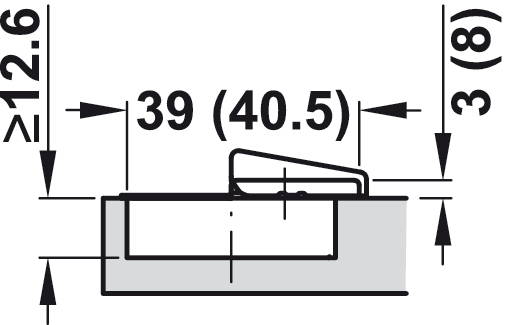 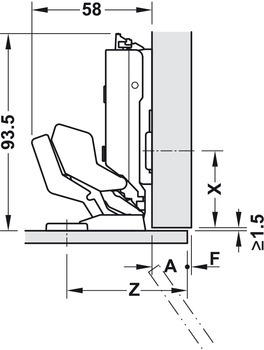 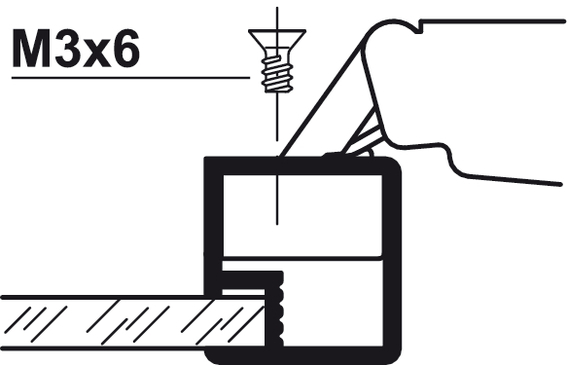 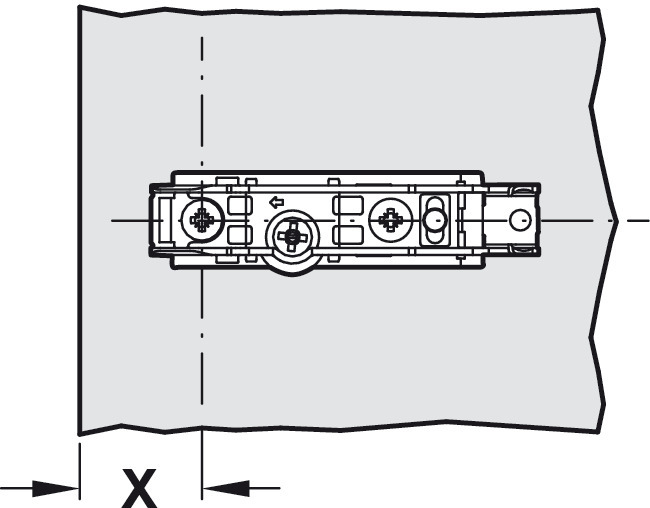 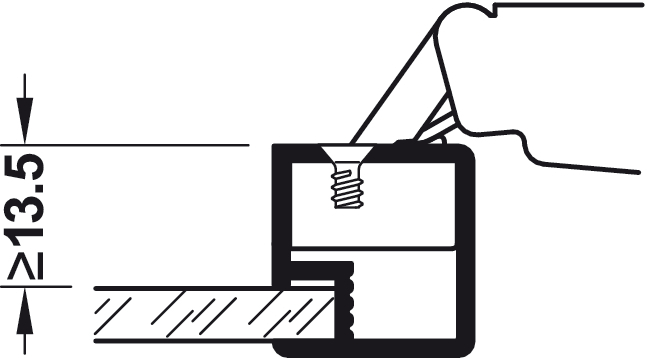 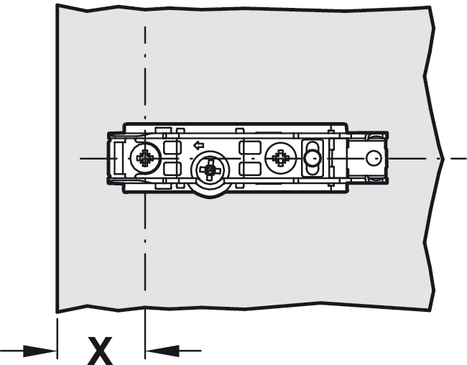 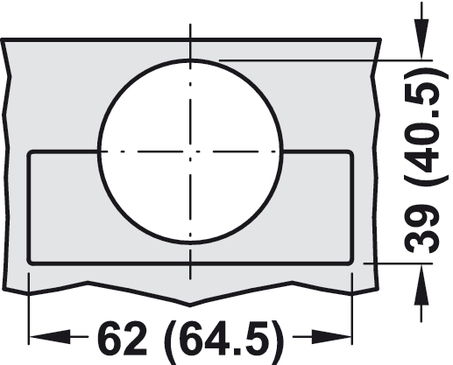 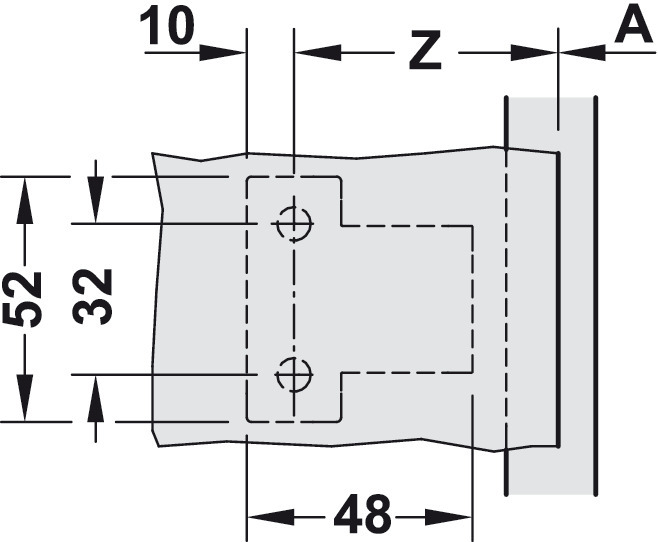 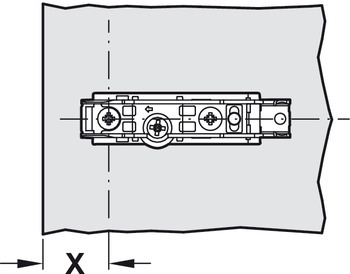 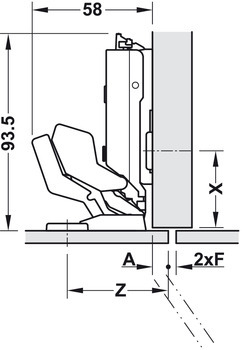 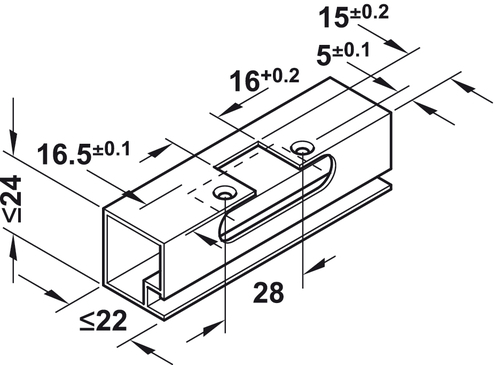 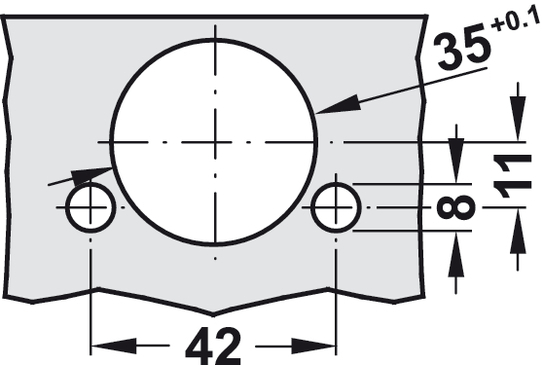 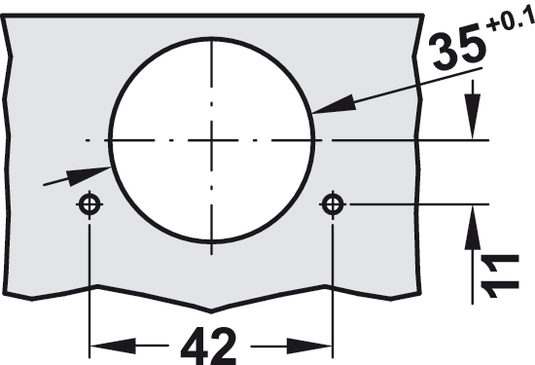 Applies to hinge with factory settings, door thickness from 6 to 10 mm with chamfered edges (r = 1 mm) and screw-on dim. 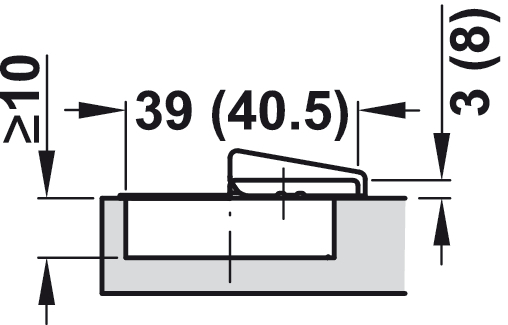 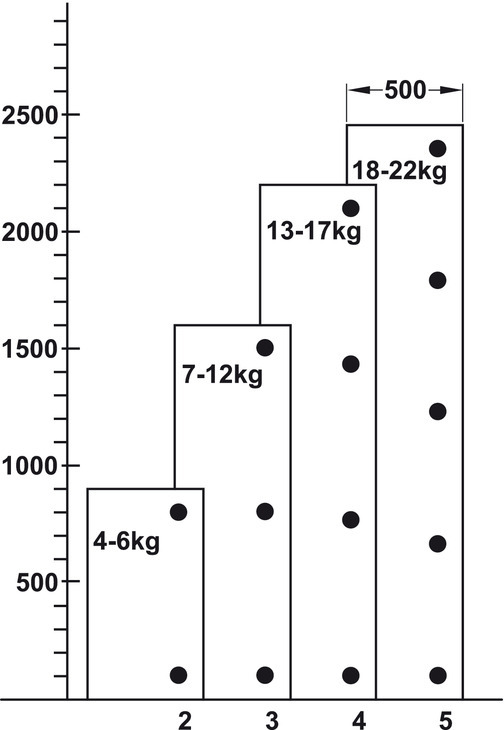 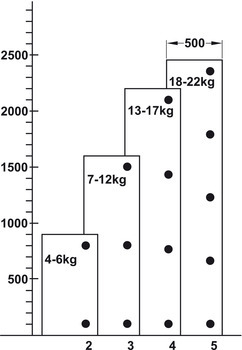 Z from 38 to 66 mm. * value can be achieved by using 90° opening angle restraint.